What now seems like a super small gesture led to over a thousand dollars worth of income for us when we really needed it. I grow cut flowers for bouquets. When I was young, my dad didn't believe in purchasing cut flowers because they die quickly. It seemed like a waste of money to him, so we never had them in our house. While we were dating, Jack learned that I love cut flowers. Every couple of weeks, he'd buy me a new bouquet so that I'd almost always have beautiful cut flowers in my house. It was an incredibly special gesture since flowers were something that I would only purchase for myself on rare occasions. After we were married, our financial world hit the fan. After two job losses, our income fell by 80%. Naturally, there was no room in our budget for cut flowers. When things finally settled down and we bought a fixer-upper home, cut flowers still weren't in the budget. I missed them, so I decided to grow my own. Being an engineer, I decided to conduct some tests to see which varieties were worth the cost. My first test — for an “investment” of about $20 — consisted of four different flowers, but only the cosmos and zinnias were successful. Although not every variety grew, I enjoyed tending the flowers and watching them grow. And, of course, it was awesome having fresh flowers in my house again. Plus, I had so many flowers that I made bouquets and gave a bunch away to friends. Last year was the second year of my flower-growing experiment. I planted more seed varieties and added lily and dahlia bulbs to the mix. I had an explosion of flowers for five months out of the year. I was completely in love! I started giving flowers to more and more people: neighbors, friends, colleagues. At the time, I worked as a tour guide for a company here in Nashville. My tours required taking groups of people into very busy restaurants in the downtown area. Getting quick service of our food and drinks was critical to the success of my tours. I was so appreciative of the bartenders and servers that would help me and my tours that I'd bring bouquets of my homegrown flowers to them on my Sundays off. I didn't realize it at the time, but we were all building social capital. When the restaurant folks helped me, I was grateful. When I gave them flowers, they were grateful. All of us were building a sort of invisible wealth that comes from a network of reciprocity. Earlier this year, I started my own food tour company in Nashville. It's a scary thing launching out on your own! How do you build a business from scratch? Fortunately, the bartenders and servers that I gave flowers to have become my biggest cheerleaders. They've taken my tours, left glowing online reviews, and recommended me to the customers in their restaurants. They've put my card on the “wall of honor” reserved for the best companies in town. This scary time in my life is a little less scary because of social capital. In the past, when I was performing the small act of kindness of delivering flowers, I wasn't expecting anything in return. I was just grateful for the help they'd given me already. I never imagined there'd be any kind of financial gain. But in the end, there has been. Just because something can't be documented in our net worth doesn't mean that it's without monetary value. When you go the extra mile, whether moving a washer and dryer for a stranger, or giving flowers for no special reason, you create a positive impact. You build social capital. 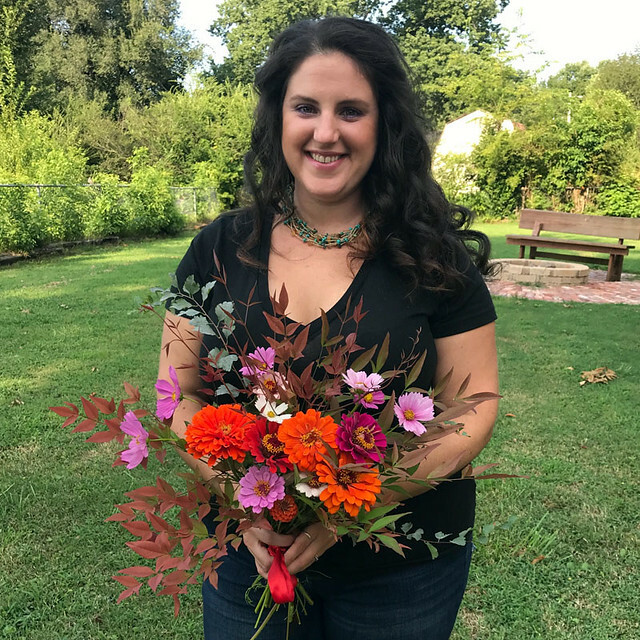 When you take a love of gardening (or writing or social media or whatever) and you spread your gifts to your neighborhood and community, your generosity will come back manyfold in ways that mean more than money. These seemingly small acts of kindness create social capital that can bring value to your life down the road. Someday when you’re looking for a job, or trying to start a business, those first few tough months and years will be so much easier when you have your community behind you. Take some time to build social capital while building wealth, and watch how it improves your life. Here's another way Christine has built social capital. In April, I visited Nashville to attend a blogging retreat. (Yes, really.) 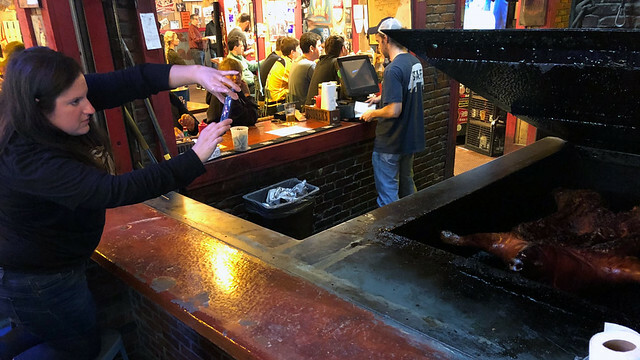 Christine invited me and my buddies to join her Nashville food tour. While that didn't pan out — my colleagues were up late drinking the night before haha! — she did take the time to share some of her favorite food with me while also extolling the virtues of her city (and its hockey team). It was a fun (and delicious) experience, one that I hear they've shared with other friends. Social capital has been huge in my life. Seriously, I believe it's been almost as valuable to me as monetary capital. And it's just as valuable to Christine. 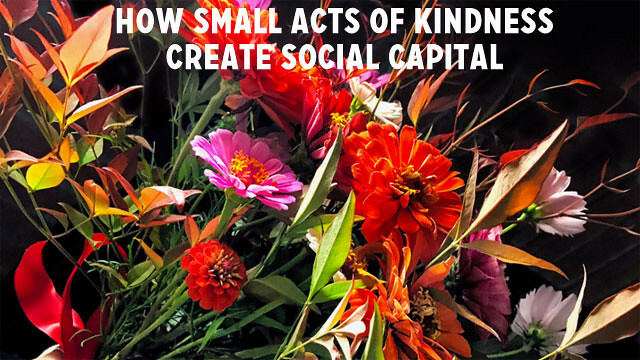 There are 12 reader responses to "Money story: Small acts of kindness create social capital". It’s also, ya know, NICE. When you’re kind to other people life is better. I network at work, but the benefit is at home. Childcare and carpooling works best when you network with other parents. Thanks for the stories. I think social capital is very important too. A lot of that is missing in modern US society. Everyone is so independent. I’m not very good at building social capital so I need to work at it more. This is such an awesome idea and strategy and will definitely work 100% especially if one is considering getting into a business. This is not just about giving samples of your product to people. This more like building a relationship, lasting relationship. My husband is amazing at this. It is so evident with his job…He’s always helping a smaller team unload, a new truck driver find the track, etc. He can go up and down the garage and in about any hauler and people just want to help him. It’s been a major plus for his employer. I think this is just a talent he has; for me, I have to work at it. I believe in being kind and treating others graciously. I think social capital builds upon this concept. Giving to others always has a payback even if it is simply that it makes you a better person. Giving to others expecting a payback however is probably a bad idea. The real test of your character is if you are just as willing to help someone who will probably never be in a position to do anything for you in return. And those usually are the people who are most grateful and most in need of the help. Good article. I was musing the same thing. To me expecting a payback is actually bartering instead of generosity. Neither concept is bad, just different. If you are calculating the value of your work, then you are bartering. Both bartering and selfless generosity build community. People remember kind acts, even moreso today because it seems more rare…people are rushed, busy, too munch on their mind, minding their own business, etc. The more you do it, the easier it becomes, until it is ingrained in you. For some people it comes naturally. I am not one of those people. I am still learning and fortunately I have some amazing people in my life, like Jack, to use as an example. In my case what appeared to be apathy, was just shyness and a sense of not wanting to intrude. Working in the hospitality field for several years now, has all but cured me of that. Aw, what a great story! I believe small acts of kindness are one of the greatest gifts we can give, especially now, in a world that can be very hostile. I’m happy your business is going well! This is a great example of hard work and kindness. It is amazing how far reaching the ripples of a kind gesture can be. I am always a bit surprised, pleased and humbled when someone tells me of a time when I’ve helped them, even when it was all in a day’s work for me (healthcare). In the long run, time and community are the most important. JD You’ve heard of the Buy Nothing project, right? It’s a beautiful example of deliberately building a community’s social capital! Like Bethany I find my local Buy Nothing group a wonderful way to build social capital. Similarly, I am very fortunate to live in a community with a very active Time Bank (through which goods and services are exchanged for time credit). Our group hosts monthly potlucks and conducts all kinds of creative community-building exchanges. Time Banks exist around the world and can be found or started by checking out timebanks.org. Within the financial independence community the ChooseFI local meetups (https://www.choosefi.com/local-groups/) are an easy and fun way to connect with others pursuing financial freedom. And of course making an effort to get to know your neighbors is always a great place to start.